Digital print giant Ricoh has been awarded specialist food safety certification by Smithers Pira in a move it said will allow its customers to access new work and grow their business as a result. The Smithers Pira Certificate of Conformity ensures that the Pro Print toner used on Ricoh’s sheet fed digital colour presses is in line with European Union food packaging legislation compliance. The endorsement applies to the Ricoh Pro C9200, Ricoh Pro C9100, Ricoh Pro C7200 and both the four- and five-colour models of the Ricoh Pro C7100 sheet fed digital colour Series. When carrying out the certification process, Smithers Pira said that no significant migration or set-off was observed into Tenax, 95 per cent ethanol or isooctane food stimulants under the test conditions. The toners were also in line with the standards related to Non Intentionally Added Substances (NIAS). Smithers Pira undertook the migration testing and set-off tests on polypropylene 30 micron film that were applied with self-adhesive labels printed using Ricoh toner technology. 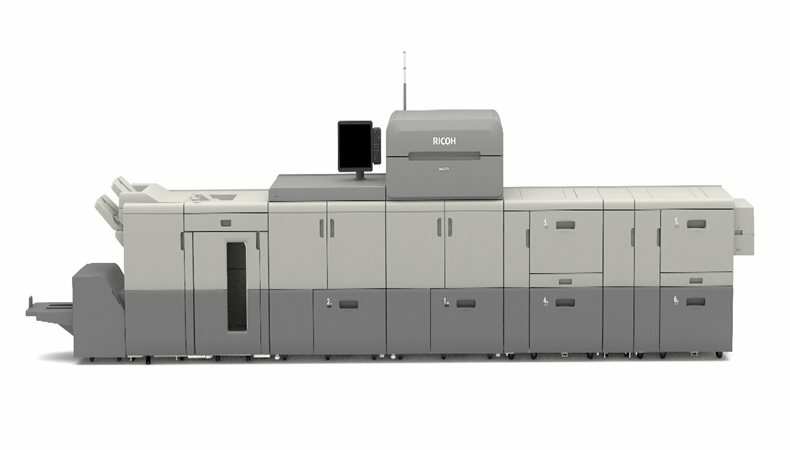 In terms of how this certification will benefit customers, a Ricoh spokesperson, told FESPA.com it will open up a wider range of print applications that they can offer confidently and profitably to their end users. “Print service providers (PSPs) need to be agile and adaptable to thrive in the fiercely competitive markets in which they operate around Europe,” the spokesperson said. The Ricoh spokesperson also noted how the certification will help Ricoh users take advantage of the increasing amount of work available in the printed packaging sector. Demand here is on the rise due to the number of food brands switching to paper-based packaging over plastic in order to enhance their own environmental credentials. “The certification will, we believe, enable Ricoh colour sheetfed device users to demonstrate their commitment to sustainability and their capabilities in the food packaging sector,” the spokesperson said.